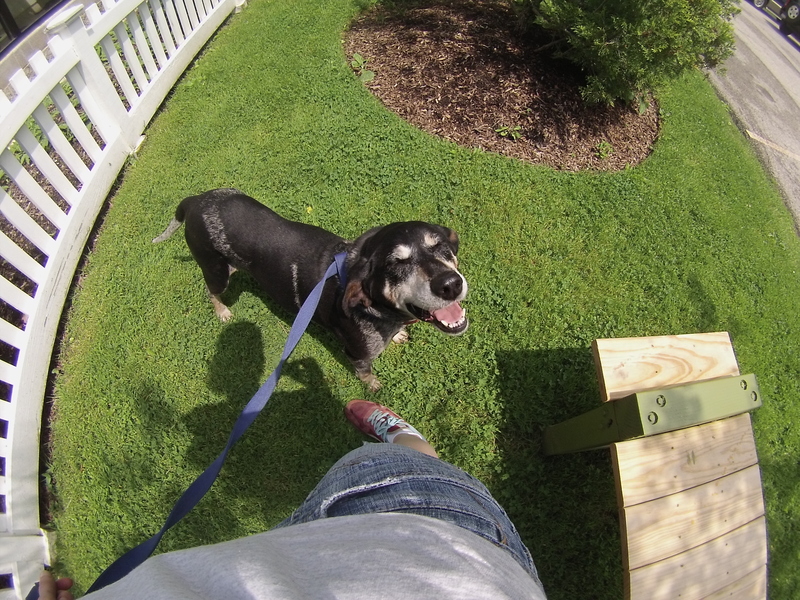 The dogs at Orphans of the Storm® are all about being companion animals. They’re just looking for someone who will give them the love and attention they deserve, and in return they will shower that someone with lots of affection! 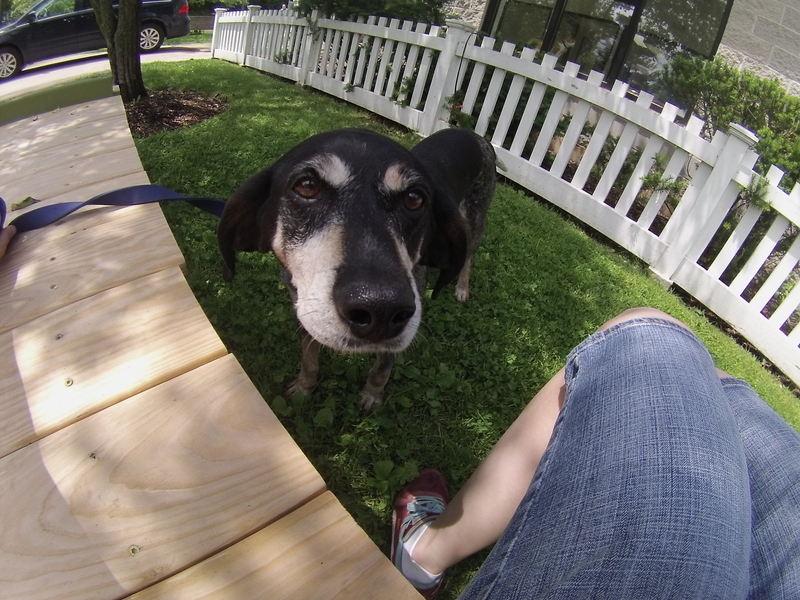 Sophia the five-year-old Bluetick Coonhound mix is extremely easy-going. There was a lot of hustle and bustle while I was at the shelter because a Boy Scout troop was hosting a fundraising barbecue, but Sophia just politely sniffed at them and wagged her tail as we made our way past. She walks very nicely on the leash and is happy to stop and sit by your side if you want to take a break. She is a sweet, gentle girl. Sophia loves getting pet. When you start petting her, she’ll scoot closer and closer to you until she’s practically in your lap, and will stick her nose right up next to yours–and maybe even give you a doggy kiss! One of the cutest things she did while we were on our walk is put her paws up on the fence outside of the cat room so she could look inside and watch all the cats. You could just see that she was thinking, “Oh boy! Kitties!” Sophia was previously sharing her kennel with another dog, so she could go to a home with or without another pooch. Stop by soon to meet Sophia! 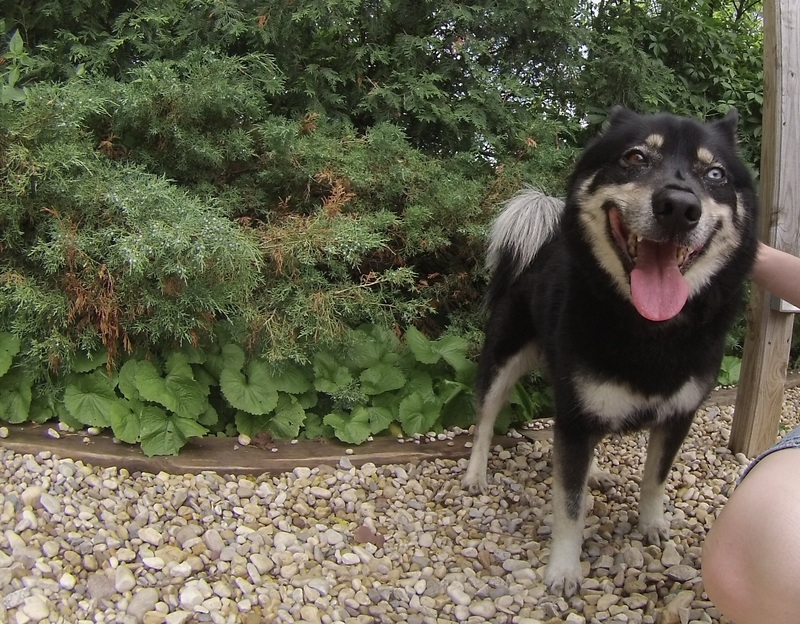 Ringo the six-year-old Husky mix might be inching his way towards my “favorites” list because he is such a good boy. He walks nicely on the leash and knows some basic commands like “sit,” which he did for me even without a treat! Ringo was sharing his kennel with another dog who has since been adopted, so he could go to a home with another pooch; however, he isn’t a fan of cats. What Ringo is a fan of is people of all ages, including children. Ringo definitely likes to cuddle, which is good because his fluffy fur makes him extra cuddle-able! He was happy to stay by my side while I pet him, and when I sat down on the bench he quickly joined me and sat right next to me. He’s not shy about offering doggy kisses, and he’s an alert boy who likes to keep track of things and investigate. 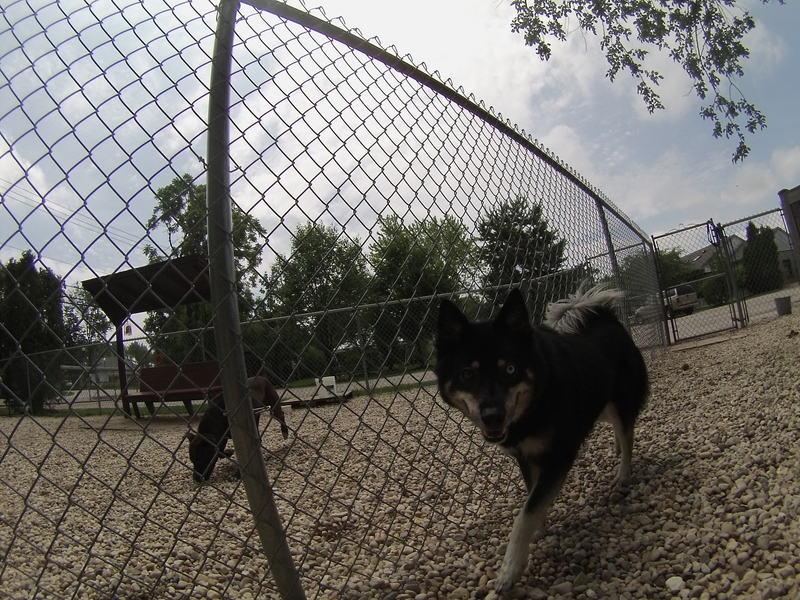 Whenever a new dog came into the run next to ours, Ringo was always right there at the gate to say hello. 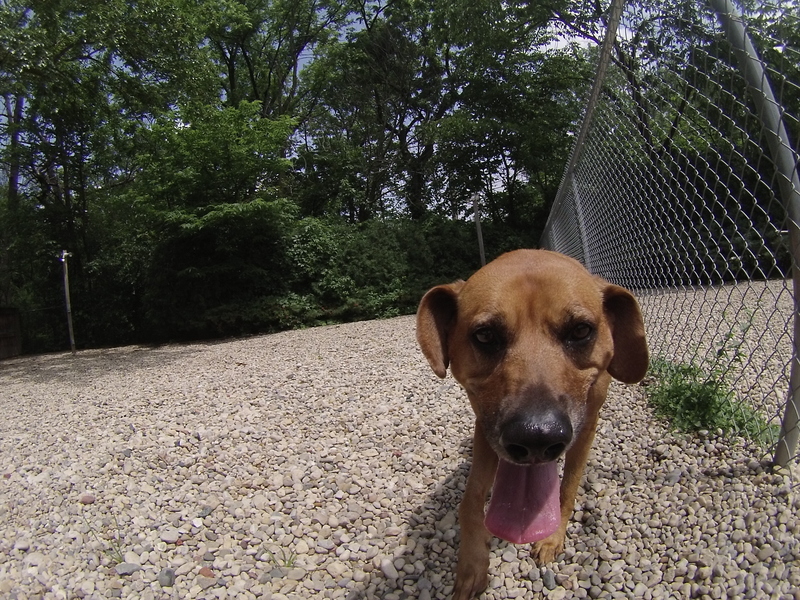 If you’re looking for a great family pet, come in soon to meet Ringo! Ginger the four-year-old Redbone Coonhound mix (not to be confused with the other Ginger) is a super affectionate pooch. We had only known each other for a few moments before she was giving me doggy kisses and trying to sit as close to me as possible. Her happy, sweet personality has quickly made her a volunteer favorite. Now she just has to steal the heart of a potential adopter! Ginger absolutely loves going for walks. She was practically bouncing up and down when she realized she was coming out with me and took off at a quick clip. Ginger could probably lose a couple pounds, but with her enthusiasm for walks and being outdoors, that should be pretty easy to do once she’s in a home that gives her regular exercise. Ginger greets everybody with a wagging tail and a doggy smile. 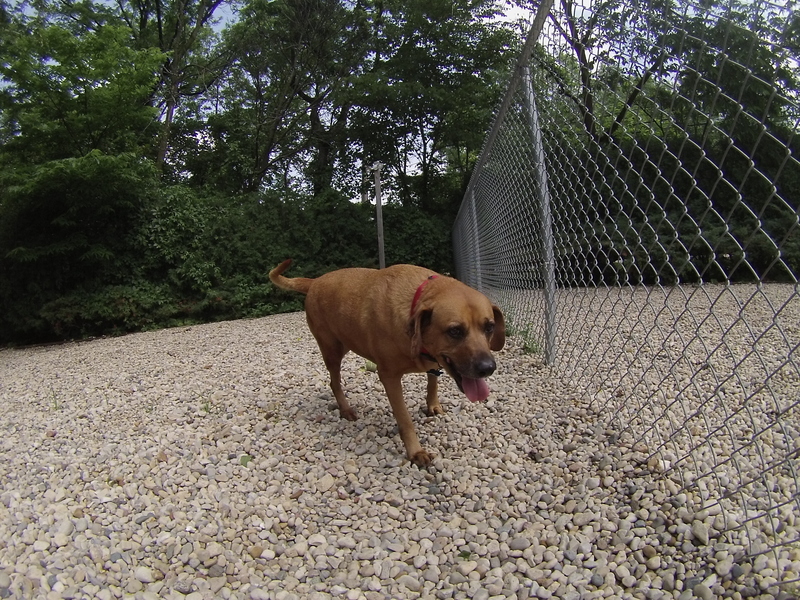 Come by the shelter soon to meet Ginger! I also saw Blush, Courage, Fred, Hachi, Rock, Tucker, Zack, Zoey, and the other Zoey. Posted by Meet the Pooches on June 18, 2015 in Dog Profiles and tagged adopt, adoption, animal shelter, animals, Bluetick Coonhound, Chicago, Deerfield, dogs, Husky, Orphans of the Storm, pets, Redbone Coonhound, Riverwoods.